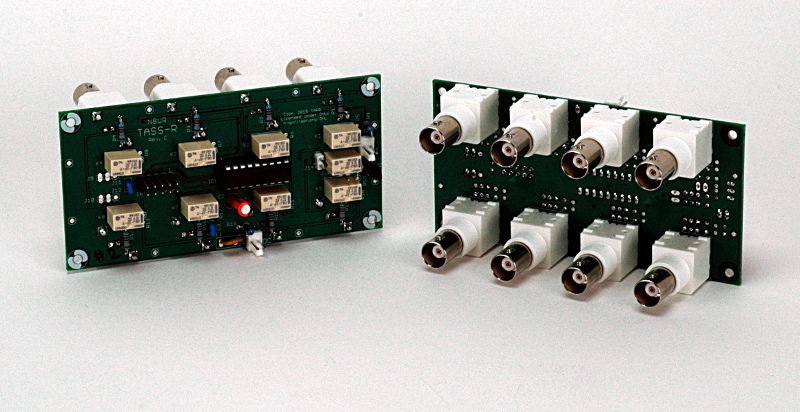 The TASS (Totally Awesome Switch System) is a general purpose 8 port DC-150 MHz relay-based switch. The hardware is designed to be very generic, with an inexpensive processor such as an Arduino providing the system logic. Control is via USB, with ethernet and other interfaces also available. The TASS-R and TASS-SHIELD interface board for Arduino are now available from TAPR and you can order them here. My old page about the TASS (which is no longer up to date) is available here.